If you have launched an eCommerce store, then you should know that one important step towards success is to build traffic. (You can learn more about building website traffic in this interesting article). However, if you want your Shopify store to thrive, it’s not enough to simply grow traffic — especially since only 1 to 2 percent of visitors actually convert to paying customers. Instead, Shopify store owner needs to take one further step: try to actually convert site visits into sales – and then turn paying customers into returning customers. Triggered emails may be the answer to that. In order to drive sales and boost retention, there’s a powerful solution: marketing automation. By using automated, triggered emails sent to people that visit your e-commerce site, you can nurture them as leads, convince them to buy, then enable customers to return and buy again. Here are five triggered email automation that every Shopify store owner should have in order to grow online sales. We live in an on-demand age, where people value personalization. Consumers want tailor-made offers. Thus, a store should use a smart mechanism that tracks and understands the behavior of each visitor. This will allow an eCommerce store to serve the most relevant and interesting products to potential customers in triggered emails and show them things that they actually want to buy, which will eventually bring in sales. There are several ways to personalize product recommendations. The most common is to suggest similar items viewed or purchased by other customers as alternative selections to the products a visitor had seen. This presents more relevant and appealing choices to visitors who are still contemplating their purchase decisions. On the other hand, you can also specify compatible products that go well together and present them as cross-selling options. A good example of this can be found in fashion houses, where a website visitor browsing a dress can also see recommended shoes and other accessories that match the outfit. Personalized product recommendations are used most effectively as part of the abandon cart or post-purchase triggered emails. When someone buys products that will require replenishment, it can help to send an automated re-purchase reminder. You can use this email to establish continued business and build value for your customer (your message help them remember what they need to get before they run out!) To find the right triggers for repurchase reminders, estimate the lifetime of your product, then send a re-purchase reminder just a bit before that time is reached. This can help build the reputation of your brand in customers’ eyes, and improve retention rates. One of the most important automation marketing steps that can help you encourage purchases is the cart abandonment automation. Cart abandonment is one of the key triggers used in marketing automation, and it happens often; in fact, some studies show the e-commerce cart abandonment rate is as high as 68.63 percent. If you send an email to someone who abandons their shopping cart, you can remind them that they were shopping — and that they still want the stuff that they were considering buying before. 11.6 percent of all cart abandonment emails are opened, and about 29.9 percent of the people that click on the links in the email actually make purchases on a site. This means that you can use the cart abandonment automation to boost sales and show customers that you’re paying attention. Cart abandonment emails aren’t the only automation tactic that’s effective to bring back visitors. You can also use the category browse abandonment email. This automation takes the next step to attract those who left a store while browsing products within a specific category. Why not try remarketing to those shoppers too? You don’t have to wait until someone adds items to cart to retarget them. Simply use this automation step to remind that they were shopping in your store — and show them items from the category that they were looking at. You certainly can’t remember every person who’s interested in any product in your store. So, you can let the marketing automation app do that work for you automatically. Use triggered emails to seamlessly notify your customers when the price of a product they’re interested in drops. This approach encourages visitors to revisit something they are interested in — and therefore more inclined to buy it. Psychologically, humans are drawn to buy when items seem more affordable Studies also show that 54 percent of people will buy items that they’ve already put in their shopping cart if they see that the prices of those items have dropped. Email marketing is an important way to build businesses today. However, it’s not just enough to send email newsletters and advertisements to potential customers. Instead, you need to take advantage of the power of marketing automation. Marketing automation is the “secret recipe” that will get you ahead of the competition. The 5 triggered emails mentioned above is an easy way to grow returning traffic to your e-commerce business. 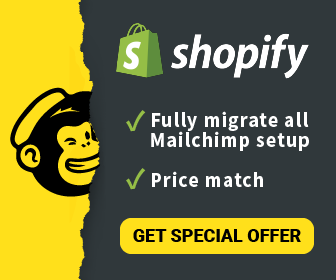 If you want to use the above-triggered emails to grow your customer base (and make it more loyal), you can combine different Shopify apps — or use ContactPigeon’s new all-in-one Shopify app. ContactPigeon makes it easy to set up emails that are sent that are sent thanks to triggers — which makes it simpler to grow your business and ensure that it is thriving.